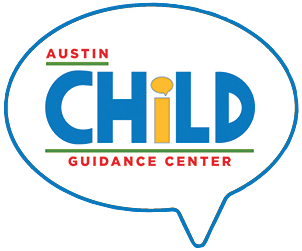 Austin Child Guidance Center is grateful to St. David's Foundation for the $1,000,000 grant directed towards ACGC’s Building Child and Family Resilience (BCFR) Project. This project aligns with St. David’s Foundation’s Childhood Adversity goal by offering trauma screening and evaluation, secondary prevention, and trauma-informed treatments for children and families, as well as training and education in the community about trauma and trauma-informed care. ACGC’s Trauma Informed Care Consortium of Central Texas (TICC) will continue to build community resiliency and strengthen the local therapeutic web. The BCFR Project helps St. David’s Foundation achieve the goals of serving at-risk, lower-income families through the provision of affordable mental healthcare services. Children and families will build resilience through participation in mental health interventions that foster the development of protective factors including strong parent-child relationships, problem-solving skills, use of active coping, and positive peer relationships.